Working safely is our highest responsibility,which is why Cherry insists on taking every safety precaution possible to ensure that workers can complete their tasks without incident—whatever job we undertake. Accident prevention requires sincere dedication and the active engagement of every employee and contractor. All employees are trained regularly in safe work procedures. And, as a condition of employment, all personnel must follow every company safety and health requirement, as well as all local, state and federal rules and regulations. 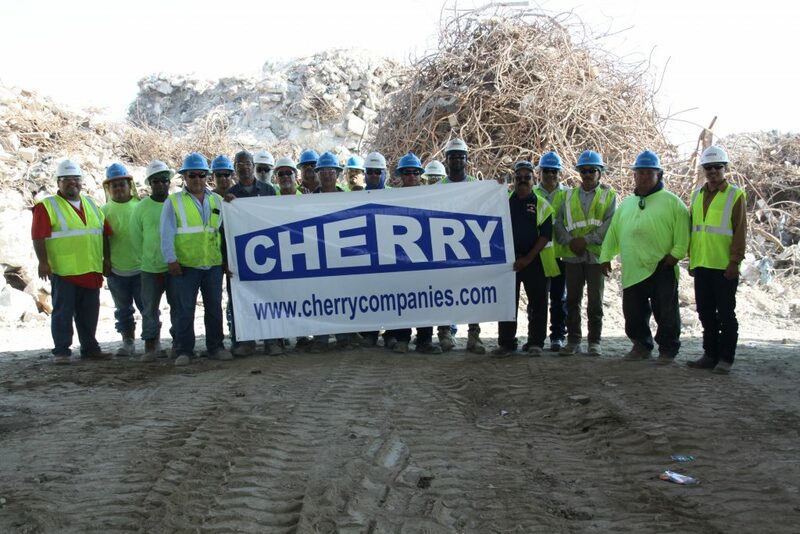 Cherry’s safety committee, which includes hourly employees, also solicits suggestions from all employees to further ensure that we are providing a safe and healthful work environment. To help motivate employees and maintain higher safety awareness, we present monthly company-wide Safety Incentive Awards. Supervisors and fellow employees nominate their peers for exemplary safety performance. Further, we notify employees of the Safety Incentive Award winners and solicit nominations for future winners. We use industry-recognized tracking tools, such as Simply Safety, to ensure that all employees are current on all of our training courses. Employees participate in daily safety meetings, and our transportation department conducts pre- and post-trip inspections. Cherry was awarded the Associated Builders and Contractors (ABC) Platinum Award in 2012, 2015, 2016, and 2017. Cherry earned the ABC Merit Award in 2011 and 2017. We won the 2010 APEX (Awards for Project Excellence) from the Houston Chapter of AGC (Associated General Contractors). We earned the 2010 STEP (Safety Training Evaluation Process) Platinum Award from the ABC. In 2009, Cherry was awarded the Houston Business Roundtable Silver Safety Award. ABC presented its STEP Gold Award to Cherry in 2008. Cherry earned the 2008 ICE Award for Excellence in Construction from ABC. Cherry also participates in the Zurich Insurance National Construction Roundtable. Membership is by invitation only and consists of safety professionals across various U.S. industries that share safety information and best work practices. Additionally, Cherry is an active member of safety committees of the Houston Chapter of Associated General Contractors (AGC), Associated Builders and Contractors (ABC) and the Houston Business Roundtable.